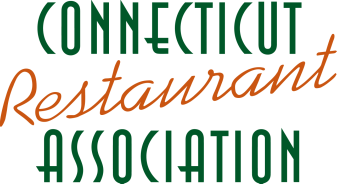 Welcome to the Connecticut Restaurant Association! following steps to Be Informed, Maximize Savings and Build Relationships. Complete these steps to make sure you are receiving notifications about industry news, trends and happenings across the state. 1. Sign up to receive our eNewsletter. 2. Follow us on Social Media​. 3. Receive legislative updates by email. Update your email address in our Member Portal. 4. Email Us to Get involved with our Government Affairs Committee. 5. Participate in our Educational Seminars. Watch our Facebook page for event notifications. Take advantage of opportunities to save money on every day expenses. 1. Review our Member Benefits pages to take advantage of exclusive Member Discounts and savings. 2. Enroll in the manufacturer rebate program offered through Prime Source Purchasing. 3. Take advantage of member pricing on ServSafe certification. Take advantage of opportunities to share ideas, make new connections, stay current with industry trends and cultivate your professional network, by attending industry social events. 1. Attend CRA industry social events. Watch our Facebook page for event notifications. 2. Email Us to find out how you can host a CRA event. 3. Email Us for information on joining a CRA committee. 4. Attend our Annual Golf Classic. 5. Attend our Annual Awards Gala. Help support the industry of opportunity and participate in programs that help to cultivate the next generation of restaurant and foodservice leaders. 1. Participate in Dine Out Connecticut week. 2. Support the development of future industry leaders through mentorship, event judging, or internship opportunities. 3. Donate to the CT Hospitality Educational Foundation Scholarship. Email us to learn more. 4. Become a sponsor the CT Pro-Start Invitational. Email Us to learn how. 5. Email Us to find out how to join a volunteer committee. ​Your CRA membership includes membership in the National Restaurant Association. ​Click HERE to learn more about national level benefits. For questions about membership, please email us at membership@ctrestaurant.org at or call ​860.278.8008.